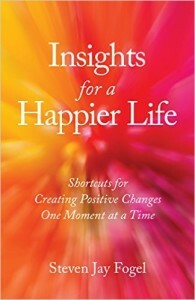 I’ve just finished a new book, Insights for a Happier Life: Shortcuts for Creating Positive Changes One Moment at a Time, and I’m happy to announce you can now order it as a Kindle book on Amazon or as a paperback from Amazon, Barnes and Noble, or your local bookstore. Insights for a Happier Life continues my focus on self-transformation: the steps we can take to recognize and let go of self- destructive patterns of behavior. 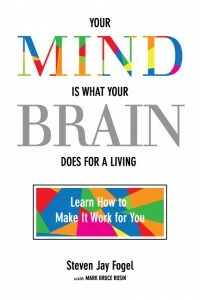 It includes techniques and strategies for evolving new ways thinking that can decrease stress and frustration while increasing our sense of fulfillment. It is based on some of my most popular blogs, those that readers have told me they’ve found the most helpful and enjoyable. I’ve supplemented these with new material, including exercises that will help you apply the life lessons I’ve learned and written about in each chapter. The book contains many personal stories and examples that show why and how these insights about self-criticism, communication, relationships (both personal and professional), memory, and venturing into new and exciting experiences have worked for me and for people I know. It is my hope that these insights and life lessons will work for you, too!